You may find that your muslin fits in the shoulders but seems to strain at the bust. 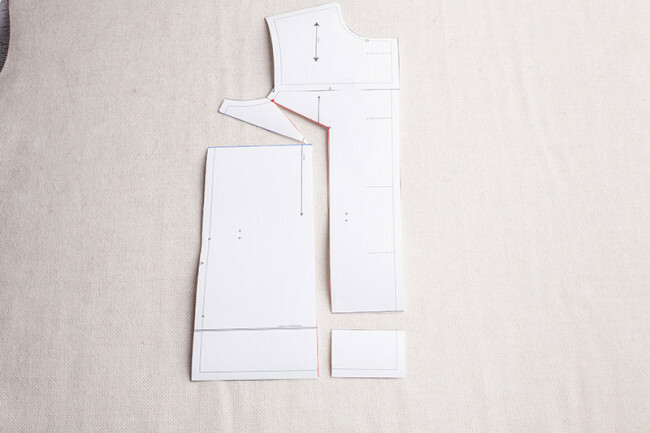 With its boxy cut, there are no darts to adjust here and going up a size might interfere with the fit in other places. In this case, try a full bust adjustment like this one to add more ease through the chest. 1. 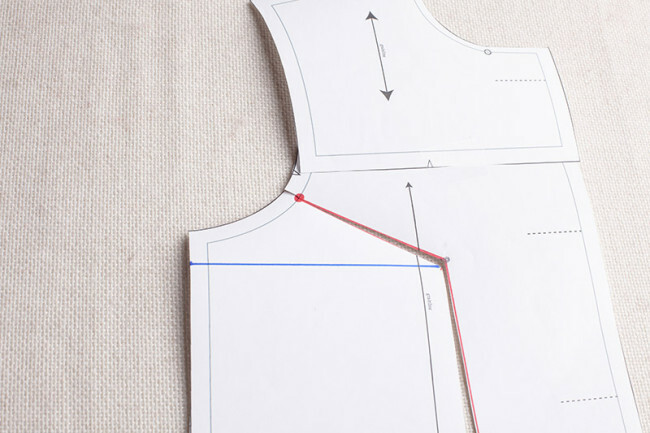 Draw a pivot point on the underarm portion of the front armhole (red dot). Draw a line from here to the bust apex, then from the apex down through the waist seam (red line). Draw a second line from the apex through the side seam (blue line). 2. 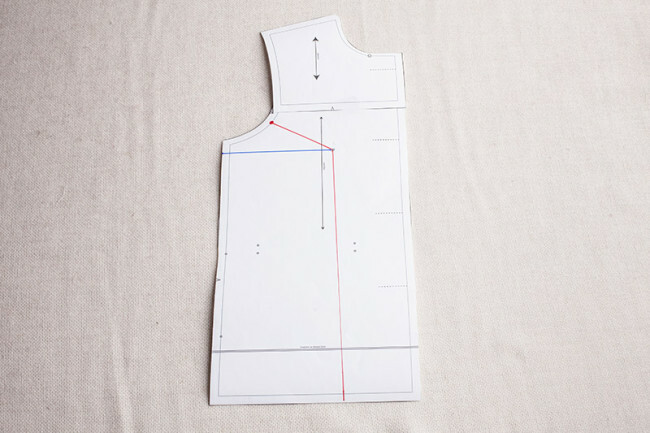 Slash the red line from the waist, though the apex, and up to the armhole pivot point. Clip the seam allowance here. 3. Slash the blue line from the side seam toward the apex, leaving a small hinge at the apex. 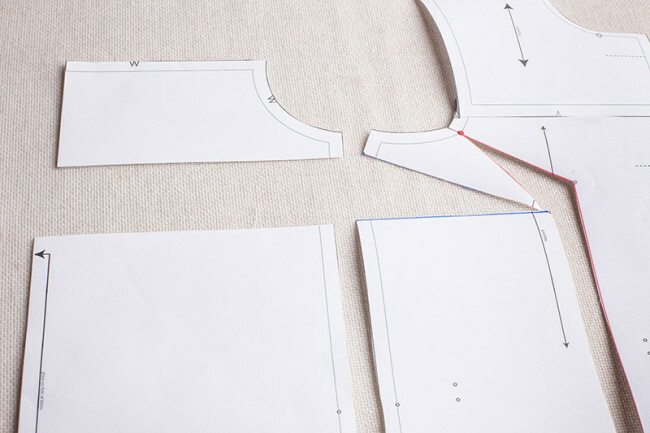 Pivot all the pieces outward, adding the desired width at the bust and keeping the lower portion of the first slash line parallel. 4. Slash from the red line toward the center front. Lower the center front to realign the hem at the bottom. 5. Lengthen the jacket back to match the jacket front at the side seams. 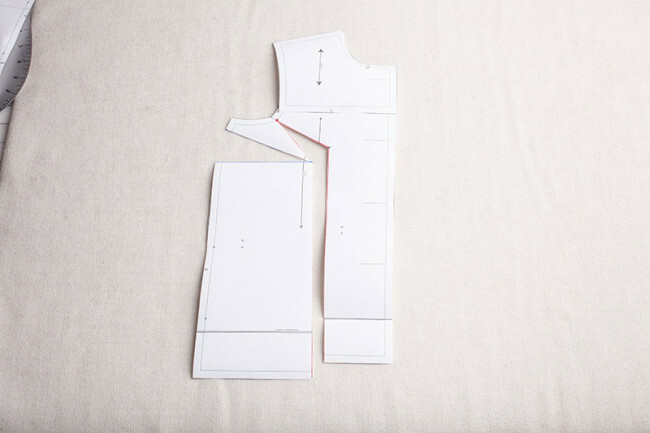 Alternately, you can convert the extra length in the front side seam to a bust dart and not lengthen the back. This will be more flattering on a full busted person, but be aware that this will change the style slightly.